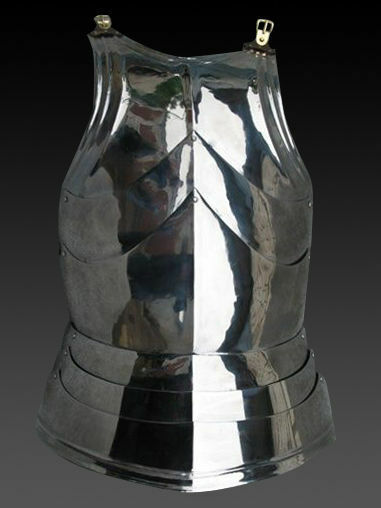 Cuirass of the mid-XV century is a classical model of medieval Milan-style plate body armor. 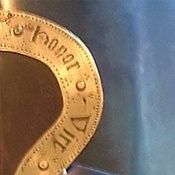 It has typical roundish shape. 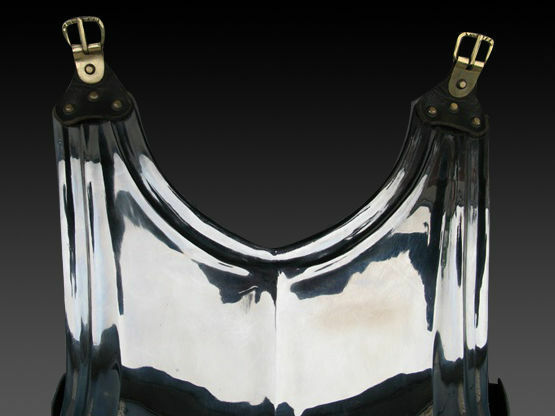 Plackart (bottom part of cuirass) is riveted to the breastplate and overlaps it. 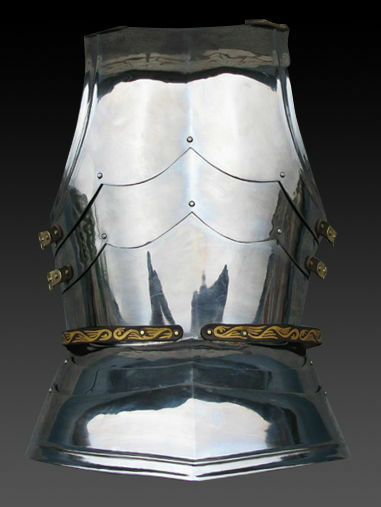 Reliable metal armor with skirt (faulds) consists of two parts: front and back one. 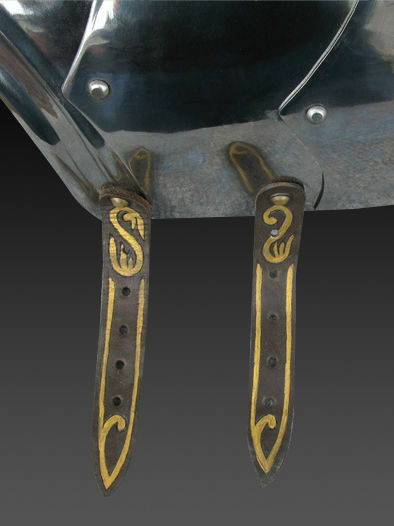 Parts are connected together with firm leather belts for fastening, which are installed on the shoulders and sides. 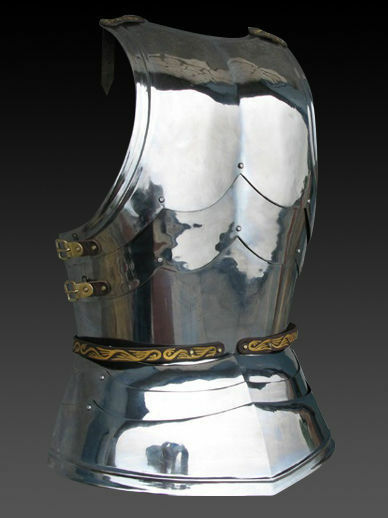 It’s recommended to wear such plate armour over the thin padded doublet or gambeson – your protection will be not only more reliable, but also more comfortable. 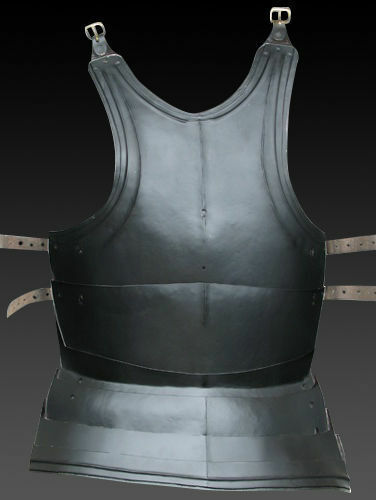 Our artisans manufacture such medieval cuirass by personal parameters of customer. 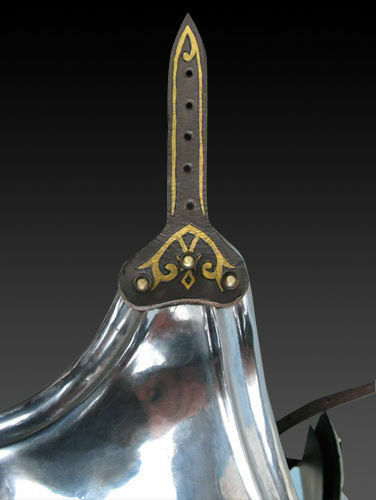 You may also like these models of combat cuirasses in the same style: cuirass in Italian style of the 2nd part of the XV century; Milanese cuirass with skirt and tassets of the 1460 year; Milan-style cuirass of the 1450-1485 years, a part of “Avant armor”.